Who knows more about the world – you or a Chimp? 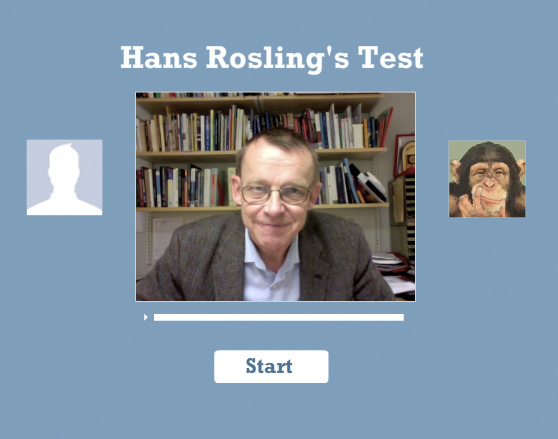 Hans Rosling’s Test is now live on Facebook. Play to find out if you know more about the world than a Chimpanzee! Some of you may already follow us on Facebook, otherwise please also visit our Facebook page and become a fan. On September 20, 2010, Bill & Melinda Gates Foundation and TED co-hosted TEDxChange, an event reflecting on the progress made against the Millennium Development Goals. 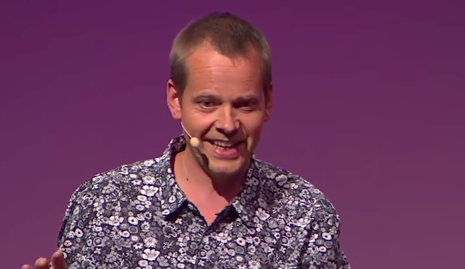 On the basis of the most recent data on child mortality, Hans Rosling showed how countries like Kenya and Ghana are now reducing child mortality at an accelerating speed – “Time has come to stop talking about Sub-Saharan Africa as one place”. He also shows the strong correlation between reducing child mortality and decreasing family size and questions why Singapore, South Korea, Chile, & Qatar are labeled “developing countries” in a recent UNICEF report. In a democracy, decision making is ultimately made by the people, therefore statistics cannot only be the bookkeeping of the state. It must be understood and used by many. The video was produced by Health Metric Network, and shoot during a talk at the Prince Mahidol Award conference in Bangkok, January 2010. Monday 23 November, Hans Rosling will give an open lecture at Uppsala University. The title of the lecture is “Civil War, Aid, Competition and Latte – a fact based view on four types of countries”.